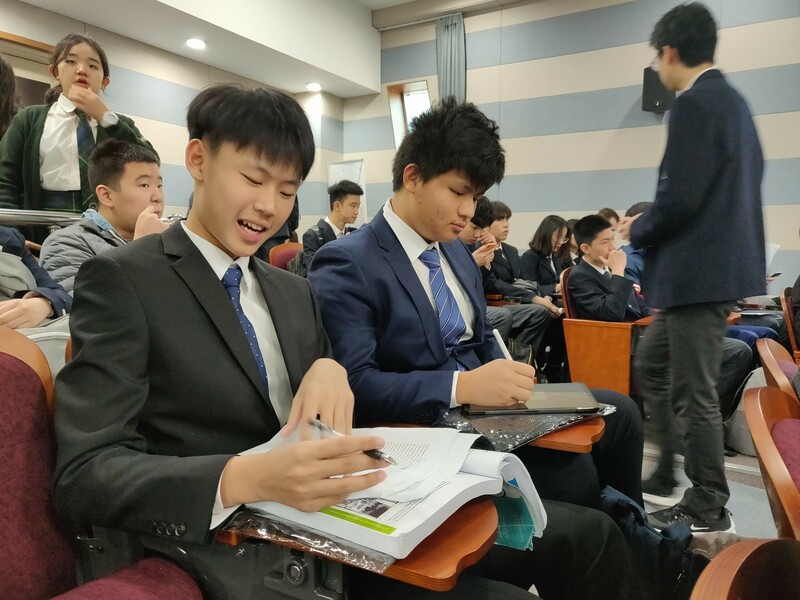 On 27th of March, SCIE delegates and advisors took the earliest flight in that day off to Jeju island, South Korea for the most prestigious, academic-excellent international Model United Nations in South Korea——GECMUN. 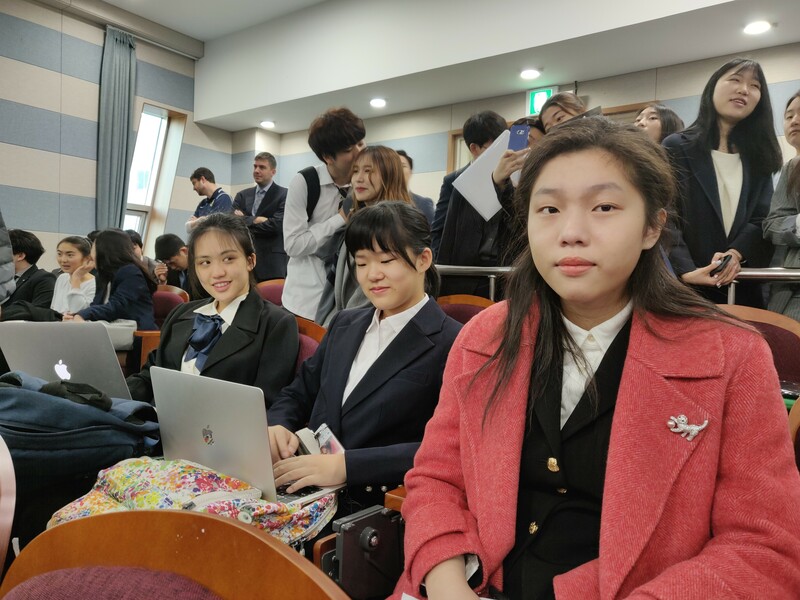 Other than two schools from China, the MUN also had international schools from Jeju island, Japan, United States and Philippines which makes the conference more competitive and challenging. On the first day, due to our special timings, we arrived in Jeju island approximately at 1:00 the early afternoon, the breeze blushed our sultriness away right after we landed, the savor of the sea—refreshing and breezy. Under such lovely weather, we started off our first day of the Model United Nations journey. The first day we had ample spare time in the afternoon after checking in to Aerospace Hotel., Since there was a shopping center close to our hotel, we decided to walk there because the transportation in South Korea was far more inconvenient than we imagined. After 30 minutes walk, we reached the theme park as well as a shopping mall. It felt a bit creepy in the beginning as we couldn’t see many people. However, as we reached the place with fancy restaurants and shops, we felt like being in the real world again. Indigenous cuisines, luxury shops, pink sky and palm trees, they have all come to a scent— spring in Korea. The second day we headed to the city center of Jeju island in where a lot of malls are located. 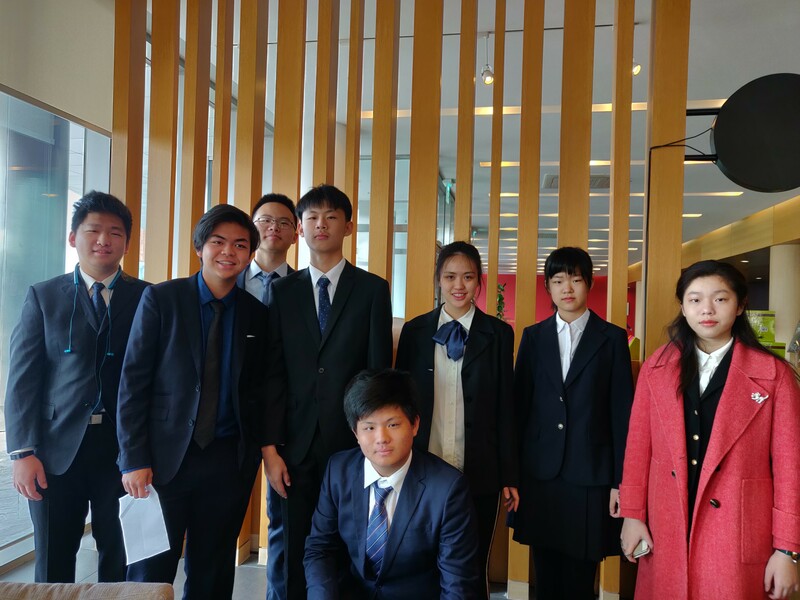 Having had a traditional Korean lunch and ample shopping we came back to the hotel with plentiful bags in the early afternoon so that we had sufficient time to do final preparations of the next days conference. Also, the arrival of other countries’ delegations in the hotel started to spice up the atmosphere. Finally! Show time! We were there on time in decent suits and the conference began with an opening ceremony where secretary generals addressed the delegates and welcomed them. First day was tough for all of us as most of us were of little experience in MUN. We were assigned to different committees like UNICEF, UNHRC, Etc and also special committees simulating Imitation Games and Marvels which was fun for first-timers to start with. 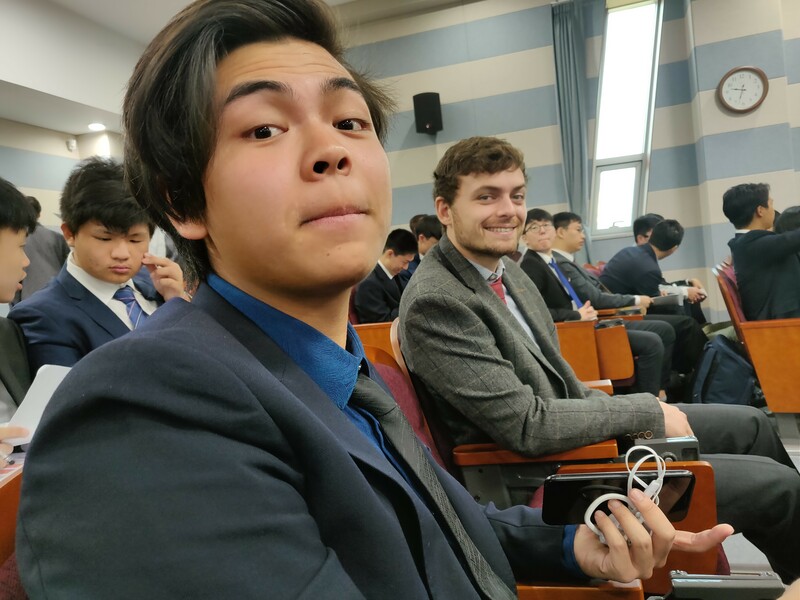 As a delegate, the first day’s agenda was overwhelmingly intense but the debate was really fruitful and competitive. After the intense first day at the conference, the commission organized us pizza party and a pop music dance social time. It was quite fun. Soon the party was finished and we went back to hotel to start preparing for the final battle. The second day of conference was dedicated to voting the resolutions that were written on the first day and also introduced amendments and debates on resolution paper. I believe each one of us felt the implications of reaching consensus among dozens of people. Around afternoon all resolution paper had been voted after which all the committees and delegates came to the auditorium to have a closure of the conference where all the awards were given out. Unfortunately, delegates from SCIE didn’t win any awards All in all, we did realize our shortcomings. All of us believe that these conferences not only give us exposure to what is going on around us in the world but also provides a boost to our self-confidence. We shall try our best next year to win awards as we gain more experience and learn from our failure.